Announcement Spread the love. 30% off Everything in my shop until February 15th. Adorn Jewelry has been re-branded as Ground Substance, which has a lot more meaning for my art and my work. The connective tissue, or fascia, in the human body is made up several components, one of which is the matrix called the "Ground Substance." When I am not creating art, I am working with my patients as a Structural Integrator. If interested, you can read more about that here http://www.mindthebodysi.com . My tagline 'Jewelry that Connects', refers to a complexity of connections. On the surface, there is the literal way that necklaces and bracelets connect or clasp in order to become adornments. But the creation of jewelry requires human connection as well, from the person manufacturing and designing the piece to the person who chooses to wear it and the admirers who comment on it. The conversation of art and design that connects us. In addition, however, it's a nod to connective tissue, the web of fascia that connects the human body from head to toe. Many of my designs have a geometry that resembles a cellular or anatomical structure. And lastly, my jewelry connects because 10% of my profit goes toward off-setting structural bodywork for those who couldn't otherwise afford it. Missed my Etsy feature interview? Read it here... http://www.etsy.com/featured_seller.php?featured_user_id=15330 . Spread the love. 30% off Everything in my shop until February 15th. The ring was well received. Voted best customers 5 years running. Thanks for visiting and buying me a brew. At Lakes and Legends Brewery for the Minneapolis Craft Market Winter Pop-up Sale. 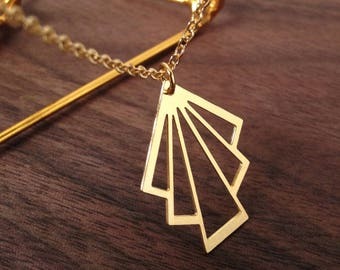 Adorn Jewelry is in the process of re-branding. My new name and brand will be Ground Substance, which has a lot more meaning for my art and my work than my previous name. I apologize for any confusion during the transition- if you were looking for Adorn Jewelry, I am one and the same. I have been in business since 2004. You must contact me within 48 hours of receiving your package. I will fully replace the item upon return if the damage is determined to have occurred during shipping. If you feel that your jewelry has a defect, you may return the item for an exchange within 10 days. The exchange will be given upon return of the original item if it is deemed to be a defect of adorn jewelry's workmanship. Rings that have been fitted to the wearer are not eligible for exchange. Please note that silver plating on rings may begin to wear on the band, particularly if adjusted often. Items that show wear and tear are not eligible for exchange. Please click on "Pay with Paypal" after checking out or from the link on your receipt to complete payment. Payment should be made immediately after the checkout. Please send an e-mail or convo if you are having difficulty with the Paypal checkout and I will endeavor to help. Please send your money order to the address provided. Minnesota state residents will be charged appropriate sales tax (e.g. Minneapolis, 7.15%). PayPal will automatically add this amount to all Minnesota addresses, so you will notice this added charge when you complete the PayPal step, but it will not be reflected in your Etsy checkout amount. I am happy to combine shipping for multiple purchases. All additional items ship for $1.00. :::DOMESTIC SHIPPING:: $2.50(USD) for USPS First Class shipping. If you would like to purchase priority or overnight shipping, please contact me and I will adjust the invoice. :::INTERNATIONAL SHIPPING::: is $3-5 (USD). I use International First Class Mail and will ship wherever this shipping method is accepted. Please see http://pe.usps.com/text/Imm/immctry.htm for a complete list of countries and shipping availability. Seller is not responsible for custom duties or import tariffs, taxes, or fees (or additional delays caused by customs.) Buyers, please be aware that you *may* be required to pay these additional charges when the package reaches your country's border. You may wish to contact your local customs office for estimates of these charges and for further information. 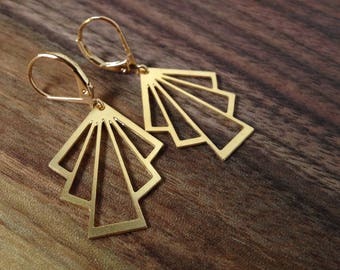 ::Brick & Mortars:: Interested in carrying adorn jewelry in your shop? Send me a conversation to receive Wholesale Information.